Bloomberg has been named as the second approved trading platform to operate within Bond Connect, the cross-border bond trading and settlement scheme that links the Mainland China and Hong Kong markets. 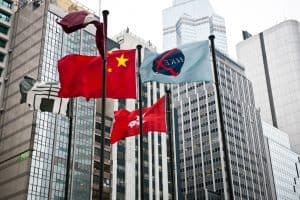 Hong Kong Exchanges and Clearing (HKEX), which spearheaded the initiative alongside the China Foreign Exchange Trade System (CFETS) last year, welcomed the move that will allow more investors globally access to Bond Connect. “We are very pleased to welcome Bloomberg and its terminals to Bond Connect, our innovative link to the Mainland bond market. Allowing institutional investors to access the Mainland’s interbank bond market through Bloomberg terminals and Bond Connect will further boost international participation, contributing to the growing relevance of the nation’s bond market,” said Charles Li, CEO of HKEX. Tradeweb became the first approved trading platform provider of Bond Connect shortly before its launch in July last year, providing the main trading interface for offshore investors accessing the trading link. In September, Tradeweb also launched a block trading functionality via the Bond Connect initiative to allow investors to complete transactions from multiple funds in a single block. Asset managers can use Tradeweb’s interface to allocate block trades to multiple client accounts, streamlining electronic access to onshore liquidity for investors using Bond Connect. HKEX added that the launch of Bond Connect was a significant breakthrough in the opening up of the Mainland China bond market, and an important step in the cooperation between the Mainland and Hong Kong. Market adoption of the initiative has grown steadily over the past year, with average daily volumes topping RMB3.6 billion in the first 10 months of this year. The number of registered overseas institutional investors using Bond Connect has also increased from 247 at the end of last year, to 450 as of the end of October.